�The Treasure of Treasures for Alchemists. 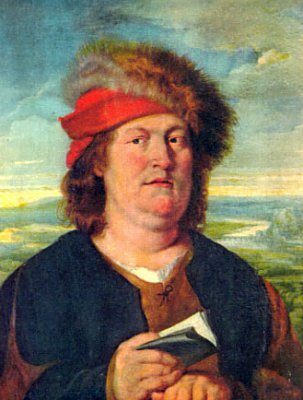 By Philippus Theophrastus Bombast, Paracelsus the Great NATURE begets a mineral in the bowels of the earth. There are two kinds of it, which are found in many districts of Europe. The best which has been offered to me, which also has been found genuine in experimentation, is externally in the figure of the greater world, and is in the eastern part of the sphere of the Sun. The other, in the Southern Star, is now in its first efflorescence. The bowels of the earth thrust this forth through its surface. It is found red in its first coagulation, and in it lie hid all the flowers and colours of the minerals. Much has been written about it by the philosophers, for it is of a cold and moist nature, and agrees with the element of water. So far as relates to the knowledge of it and experiment with it, all the philosophers before me, though they have aimed at it with their missiles, have gone very wide of the mark. They believed that Mercury and Sulphur were the mother of all metals, never even dreaming of making mention meanwhile of a third; and yet when the water is separated from it by Spagyric Art the truth is plainly revealed, though it was unknown to Galen or to Avicenna. But if, for the sake of our excellent physicians, we had to describe only the name, the composition; the dissolution, and coagulation, as in the beginning of the world Nature proceeds with all growing things, a whole year would scarcely suffice me, and, in order to explain these things, not even the skins of numerous cows would be adequate. �CONCERNING THE SULPHUR OF CINNABAR. Take mineral Cinnabar and prepare it in the following manner. Cook it with rain water in a stone vessel for three hours. Then purify it carefully, and dissolve it in Aqua Regis, which is composed of equal parts of vitriol, nitre, and sal ammoniac. Another formula is vitriol, saltpetre, alum, and common salt. �CONCERNING THE GREEN LION. Take the vitriol of Venus4, carefully prepared according to the rules of Spagyric Art; and add thereto the elements of water and air which you have reserved. Resolve, and set to putrefy for a month according to instructions. When the putrefaction is finished, you will behold the sign of the elements. Separate, and you will soon see two colours, namely, white and red. The red is above the white. The red tincture of the vitriol is so powerful that it reddens all white bodies, and whitens all red ones, which is wonderful. Ah, Charles the German, where is your treasure? Where are your philosophers? Where your doctors? Where are your decocters of woods, who at least purge and relax? Is your heaven reversed? Have your stars wandered out of their course, and are they straying in another orbit, away from the line of limitation, since your eyes are smitten with blindness, as by a carbuncle, and other things making a show of ornament, beauty, and pomp? If your artists only knew that their prince Galen – they call none like him – was sticking in hell, from whence he has sent letters to me, they would make the sign of the cross upon themselves with a fox’s tail. In the same way your Avicenna sits in the vestibule of the infernal portal; and I have disputed with him about his aurum potabile, his Tincture of the Philosophers, his Quintessence, and Philosophers’ Stone, his Mithridatic, his Theriac, and all the rest. O, you hypocrites, who despise the truths taught you by a true physician, who is himself instructed by Nature, and is a son of God himself! Come, then, and listen, impostors who prevail only by the authority of your high positions! After my death, my disciples will burst forth and drag you to the light, and shall expose your dirty drugs, wherewith up to this time you have compassed the death of princes, and the most invincible magnates of the Christian world. Woe for your necks in the day of judgment! I know that the monarchy will be mine. Mine, too, will be the honour and glory. Not that I praise myself: Nature praises me. Of her I am born; her I follow. She knows me, and I know her. The light which is in her I have beheld in her; outside, too, I have proved the same in the figure of the microcosm, and found it in that universe. �HERE ENDS THE TREASURE OF THE ALCHEMISTS. NOTES 1 The Sign is nothing else than the mark left by an operation. The house constructed by the architect is the sign of his handicraft whereby his skill and art are determined. Thus the sign is the achievement itself. – De Colica. 2 The earth also has its Astrum, its course, its order, just as much as the Firmament, but peculiar to the element. So also there is an Astrum in the water, even as in the earth, and in like manner with air and fire. Consequently, the upper Astrum has the Astra of the elements for its medium and operates through them by an irresistible attraction. Through this operation of the superior and inferior Astra, all things are fecundated, and led on to their end. – Explicatio Totius Astronomiae. Without the Astra the elements cannot flourish. … In the Astrum of the earth all the celestial operations thrive. The Astrum itself is hidden, the bodies are manifest. … The motion of the earth is brought about by the Astrum of the earth. … There are four Astra in man (corresponding to those of the four elements), for he is the lesser world. – De Caducis, Par. II. 3 Aurum Potabile, that is, Potable Gold, Oil of Gold, and Quintessence of Gold, are distinguished thus. Aurum Potabile is gold rendered potable by intermixture with other substances, and with liquids. Oil of Gold is an oil extracted from the precious metal without the addition of anything. The Quintessence of Gold is the redness of gold extracted therefrom and separated from the body of the metal. – De Membris Contractis, Tract II., c. 2. 4 If copper be pounded and resolved without a corrosive, you have Vitriol. From this may be prepared the quintessence, oil, and liquor thereof. – De Morbis Tartareis. Cuprine Vitriol is Vitriol cooked with Copper. – De Morbis Vermium, Par. 6. Chalcanthum is present in Venus, and Venus can by separation be reduced into Chalcanthum. – Chirurgia Magna. Pars. III., Lib. IV. 5 There is, indeed, diffused through all things a Balsam created by God, without which putrefaction would immediately supervene. Thus in corpses which are anointed with Balsam we see that corruption is arrested and thus in the physical body we infer that there is a certain natural and congenital Balsam, in the absence of which the living and complete man would not be safe from putrefaction. Nothing removes the Balsam but death. But this kind differs from what is more commonly called Balsam, in that the one is conservative of the living, and the other of the dead. – Chirurgia Magna, Pt. II., Tract II., c 3. The confection of Balsam requires special knowledge of chemistry, and it was first discovered by the Alchemists. – Ibid., Pt. I., Tract II., c. 4. 6 It is difficult to identify the treatise to which reference is made here. It does not seem to be the seventh book concerning The Nature of Things, nor the ensuing tract on Cements. The general question of natural and artificial weight is discussed in the Aurora of the Philosophers. No detached work on Transmutations has come down to us. 7 Know that the Phoenix is the soul of the Iliaster (that is, the first chaos of the matter of all things). … It is also the Iliastic soul in man. – Liber Azoth, S. V., Practica Lineae Vitae.